Home / News / Whats New In Digital receivers for Spectrum cable TV customers? Spectrum cable TV is winding up the timetable on going completely digital. In many parts of the country, Spectrum cable TV customers will now require a digital receiver for each television owned. This is part of the company’s plan to phase out obsolete analog technology and go towards a full digital experience. The upgrade essentially concerns anyone with a TV directly connected to a cable outlet. Such customers will need to order a digital receiver or pick one up at the closest Spectrum store. The upgrade works with both new and old TVs, with the receiver acting as the tuner. How costly is the upgrade? Most customers will get the receiver at no cost for one, two or five years depending on certain qualifying factors. Once this free period expires, customers will have to pay a small fee for each digital receiver in their homes. Legacy Oceanic Time Warner customers may have to pay a different fee and should check with a Spectrum customer service representative. Most Spectrum cable TV customers will fall in the one or two-year periods, with five-year periods intended for bulk buildings. Will the upgrade work on my old TV? According to Spectrum officials, all TVs whether new or old will work with the new Spectrum digital receiver. Spectrum cable TV customers concerned that the channel range may exceed 1300 can rest easy. With the receiver acting as a tuner, the TV’s age, and channel range is irrelevant. Customers will have access to all digital channels without some of them being inaccessible due to the TVs limited range. This is what going full digital means. The upgrade can be expected to give customers access to highly improved picture quality. This is not to mention 70 additional HD channels and a host of other entertainment options. There is also the world of On-Demand entertainment. 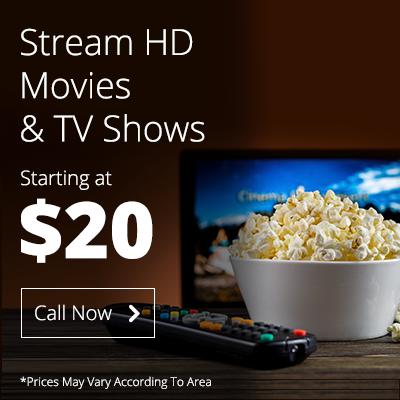 With a two-way digital receiver, customers get access to thousands of On-Demand shows and movies. The receiver also gives access to parental controls, search options, and interactive TV guides. Why is Spectrum ending analog cable service? Going digital is part of Spectrum’s plan to bring the best entertainment experience to its customers. To do this, unfortunately, the older, inefficient analog cable service has to be phased out. One single analog channel takes up as much network capacity as twelve digital channels or four HD channels. By removing analog service, more network capacity is freed up for more HD channels and innovation. This is not to mention the capacity for future increases in internet speed. Spectrum has been carrying analog signals for the past few years in order to ease the transition to digital technology. The company plans to transition most remaining areas to digital service this summer. You may want to check what the timetable is in your area and order a digital receiver for your home. Luckily, you can do both by calling the Spectrum customer service number and speaking to a representative. They will be happy to assist you in entering the full digital experience.